It looks like Jon Bon Jovi has no plans on leaving New York behind. 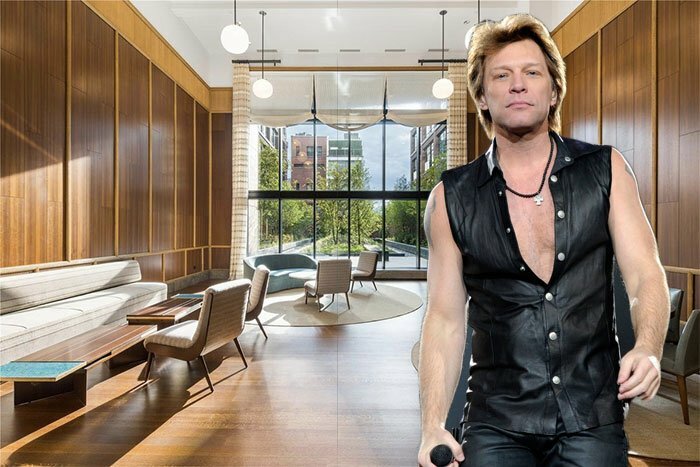 After finally unloading his $34 million Soho penthouse earlier this year, according to the Observer, the rocker has just paid $12.88 million for a sprawling ten-room apartment at the brand new 150 Charles Street in the West Village. There are no photos of the new spread to be found just yet, however, if his old home is any indication of taste, he’s probably taken up residence in one of the high-floor apartments sporting double height ceilings and super tall windows framing views of the city and the Hudson River. The building itself has a 75-foot lap pool, a 3,000 square foot fitness center, and 40,000 square feet of private outdoor space.